The Thanksgiving leftovers are officially gone and houses all over my street are sparkling with twinkle lights, which means it’s official… Christmas time is here! My favorite thing about Christmas is the ornaments. Not trimming the tree or decorating in general, I mean the ornaments. Every year, any time I travel to a new place or accomplish a big goal or do or see anything I want to be reminded of, I pick myself up a Christmas ornament. I think they’re an extra special way of looking back on your year and remembering everything you’ve been through and serving as a physical reminds and something to help you maintain a story. 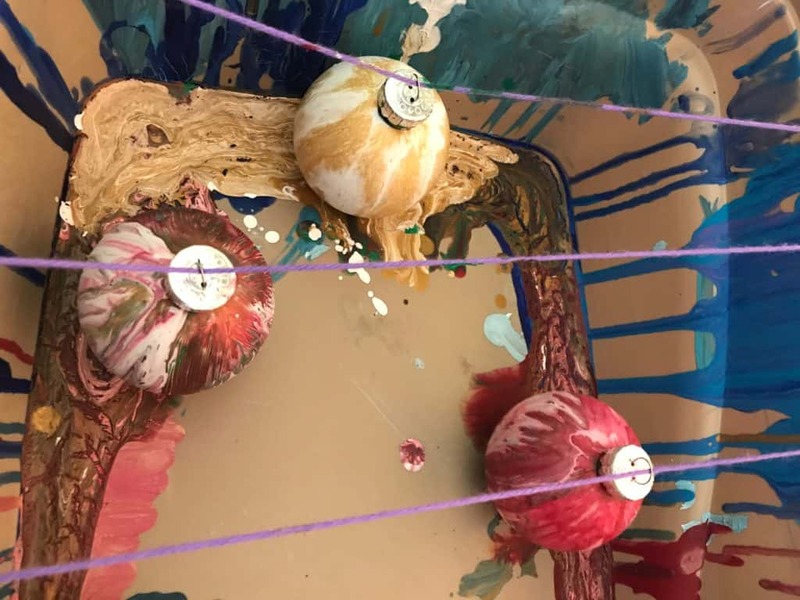 The whole thing was very exciting and maybe a little advanced for me, I’d never poured on a 3D object before, but I was so thrilled to get started. Most of my thinking happens outside the box so I was confident I would figure it out. 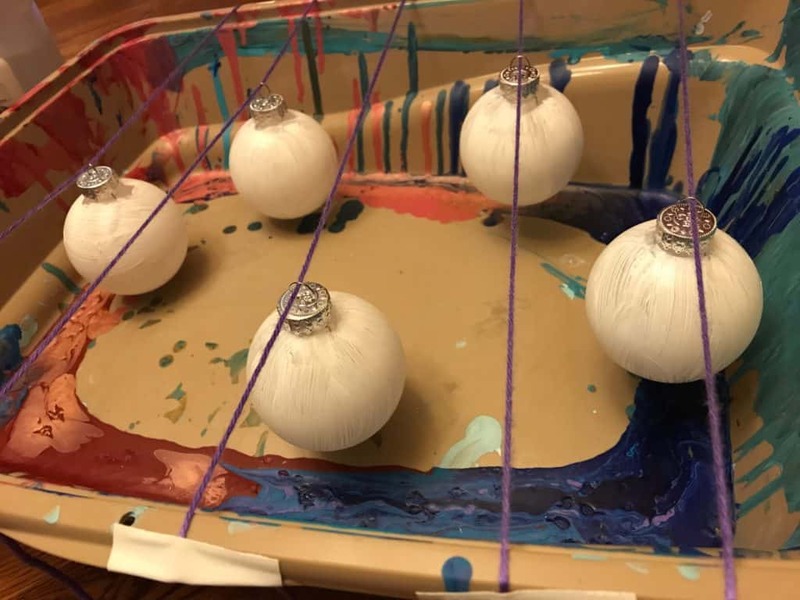 Because my ornaments were see-through plastic I decided to prep them with a nice coat of white in case my pour paint didn’t stick enough, I didn’t want any bald spots. 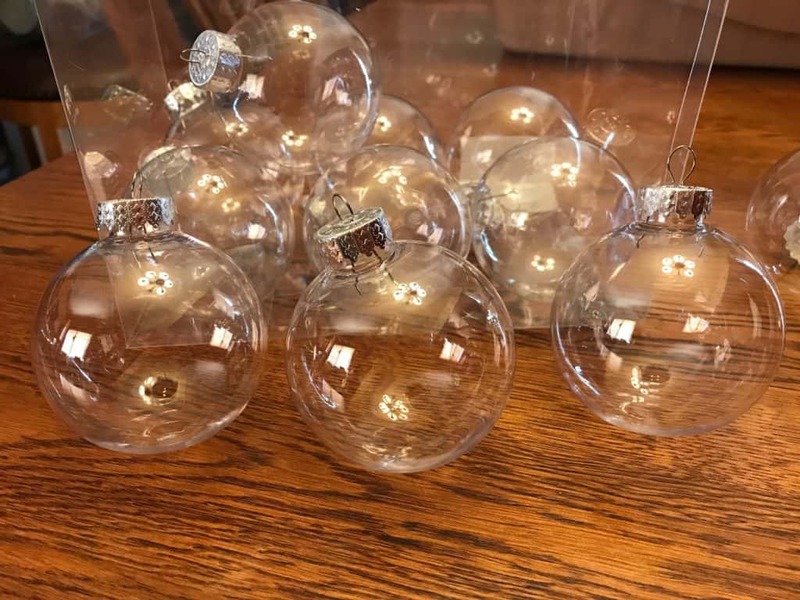 Figuring out how to keep them suspended took a little extra thought, but luckily the basin I used was just deep enough to keep the bottoms of my ornaments from touching down. 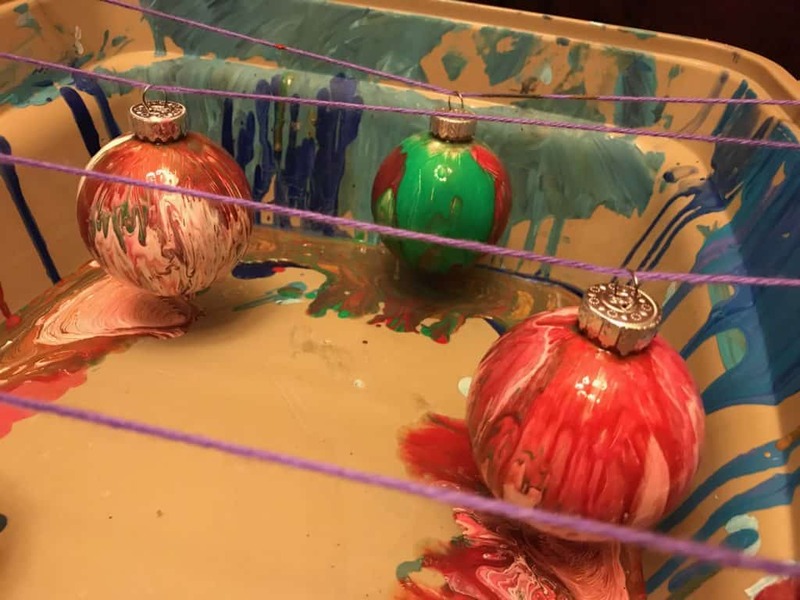 I used some old yarn and duct tape to create little tight ropes for my ornaments to walk, proving that duct tape fixes everything. I prepped five but only poured on three for right now, just in case my sister wants a go at it the next time she’s around! The color scheme I decided on was quintessential Christmas; red, green, and gold. I figured a quick and dirty pour would be the simplest way to create this pour, but I didn’t want my red and white to mix for a Valentine’s Day pink. Luckily, every color maintained its dignity and the glitter from the gold lended itself to the edges of the red and the white. But the green was a real hold out. I mixed and remixed and poured and repoured but the green was just looking so out of place with my other colors. As I’m sure you can tell from the pictures, he was a bit of an ugly duckling. But, being the pourer I am, I believe in second chances. So I let everything settle, let the paint and colors do their things overnight while Sugar Plum Fairies danced in my head that night. But even in the morning, that little ornament was not filling me with holiday cheer. So I decided an official repour was in order. 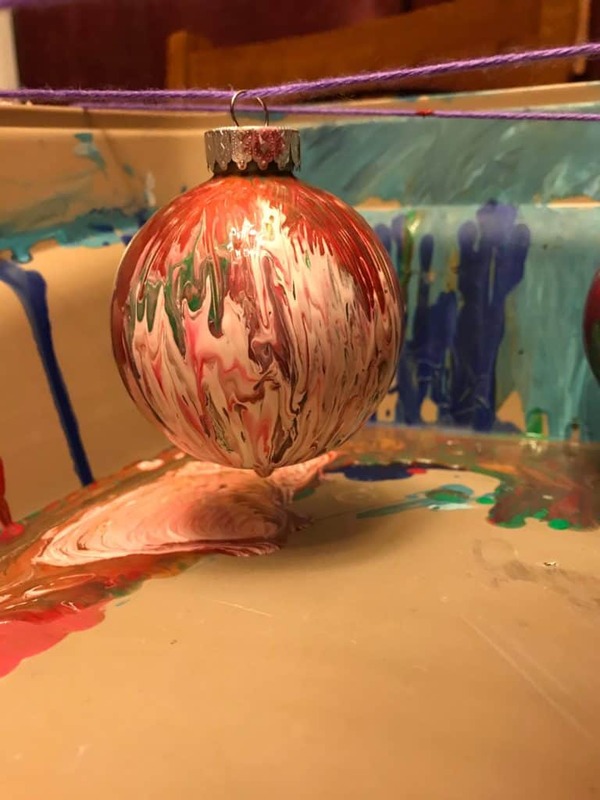 Because the ornaments are plastic and I didn’t seal my pour I could have easily just wiped off my first attempted and started fresh, but instead I decided to cover over it with some green paint. It’s just not Christmas without a little green if you ask me! 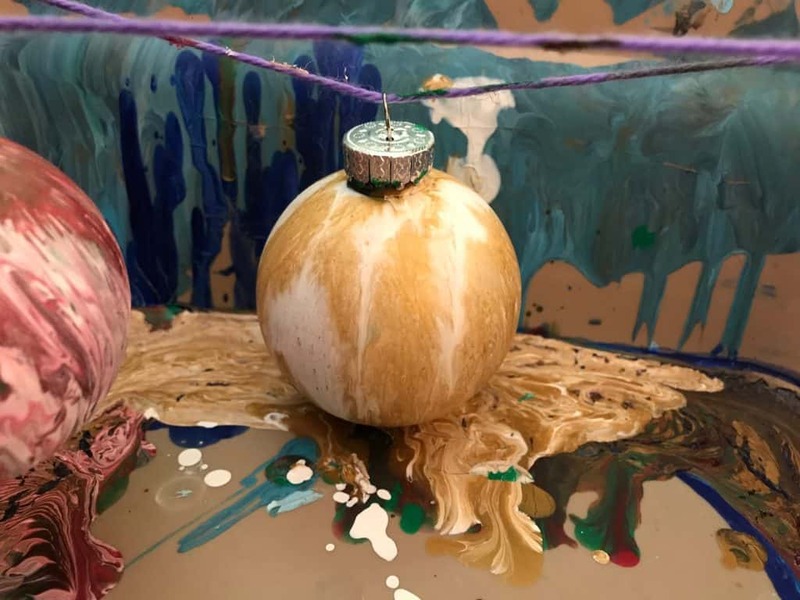 My intention this time around was to use white and gold as my pour colors and have them streak over the ornament and make room for the green underneath. Well, my paint was a bit too thick and I went light on the silicone so the green didn’t end up showing through like I’d wanted, but I still think this little guy is a vast improvement! I’ve got a feeling that this is just the first pour of a very crafty Christmas!